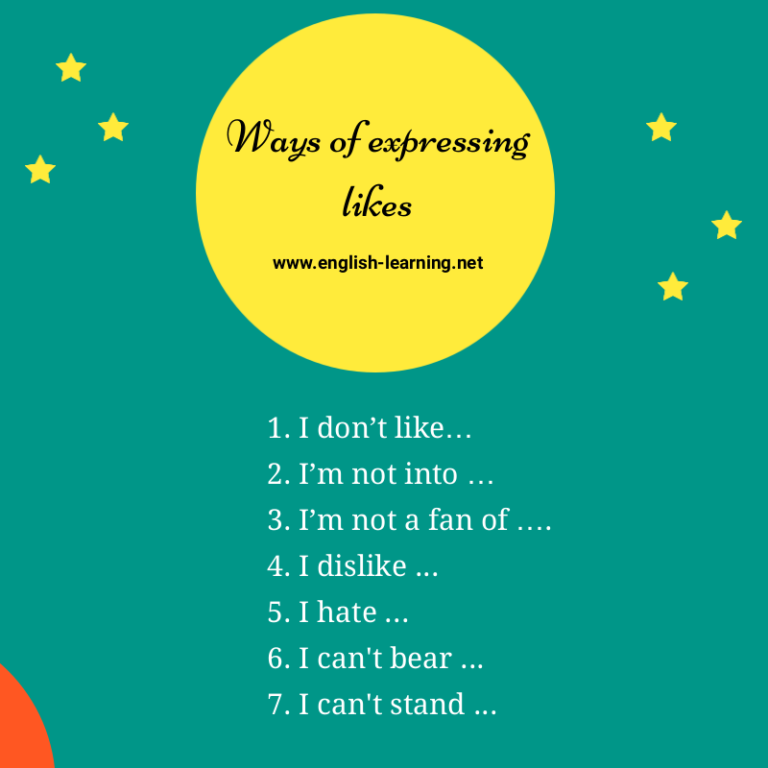 In this lesson, we’re going to learn some different ways to express what you do not like. I don’t like soccer and baseball. I don’t like noisy and selfish people. I’m not into heavy metal. I find them really boring. I’m not really into sports, yes, I’m a couch potato. 3. I’m not a fan of …. I’m not a fan of superheroes movies. I’m not a fan of pop music. I dislike being left alone. I dislike those noisy neighbors. I hate people who are dishonest and fake. I can’t bear her complaints. That’s so annoying. I can’t stand blood, that’s why I never go to the hospital.